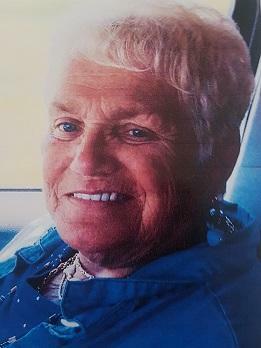 Elaine Marie Hines, Chapel Drive, Glace Bay, died Saturday, April 13, 2019 at home, she was 72. Elaine was born in Windsor, Ontario and lived most of her life in Glace Bay. She was the only child of Steve Markiw and the late Annie (Carroll) Markiw. Her childhood home was on Alexander Street. She is survived by her husband of 47 years, Greg, as well as her father who is a resident of Taigh Na Mara. Elaine is a graduate of St. Michael’s High School in Glace Bay and St. Francis Xavier University in Antigonish. She was a teacher in the Glace Bay School system from 1968 until her retirement in 2003. Her first teaching job was at St. Anne’s School and then became a long-time teacher at Holy Cross School and following the closure of Holy Cross she was among the first teaching staff at the new Glace Bay Elementary School. As a member of the Retired Teachers Organization in Glace Bay, she continued her friendship with several of her former teaching buddies. During her retirement she enjoyed trips to other parts of Canada by train and to the Caribbean Islands was on cruise ship voyages. Cremation has taken place. Visitation will be held Wednesday, April 17, 2019 from 6-8 p.m. at T.J. Tracey Cremation and Burial Specialists, 370 Reserve St., Glace Bay, NS (902-849-4199). A memorial service will take place 10 a.m. Thursday, April 18, 2019 at St. Anne’s Church with Father Duaine Devereaux officiating. Reception to follow. Interment to take place at a later date.